Florida Memorial University serves a culturally diverse student population through programs in liberal and professional education. These programs are designed to prepare students to function in a highly competitive, technological and global society. Challenging educational opportunities are offered in a variety of instructional formats to traditional and non-traditional students. Internships and experiential learning programs are incorporated in an energetic learner-centered environment. Academic programs are supported by library services, information technology, academic advising, testing, developmental education, career development, counseling, intramurals, intercollegiate sports, student activities, and other support services. 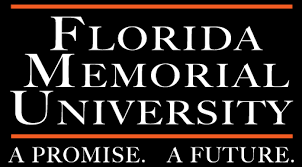 Florida Memorial University is dedicated to academic excellence, to the pursuit of knowledge and truth, to the free exchange of ideas, and to the transmission and preservation of African-American history and heritage. The University recognizes that education contributes to the quality of life and expects that students will leave its community of scholars and traditions prepared to participate fully in a global society.